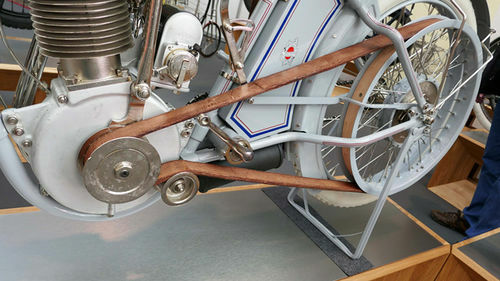 Leather strips as handles for a bicycle. 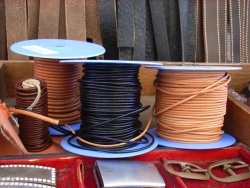 Leather laces and strips are used as jewellery or as driving belts. They can be cut in very different ways (see videos below). They can be cut round or into strips along a straight line. The round cutting gives a very long strip. 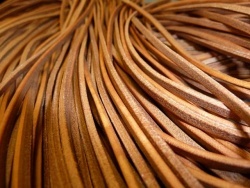 Leather strips are therefore also sold by length. Cut with a simple knife the strips have an angular shape. With special machines, the square edges of the strips are rounded and are then round strips. 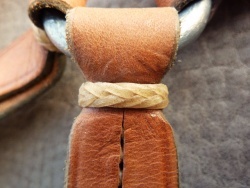 Wide strips or laces are called straps. There is no clear definition for the transition. 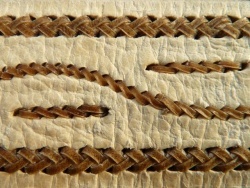 braided leather strips made of parchment. 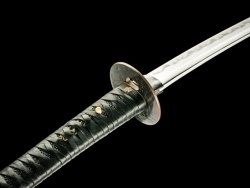 Leather strips as sword handles. 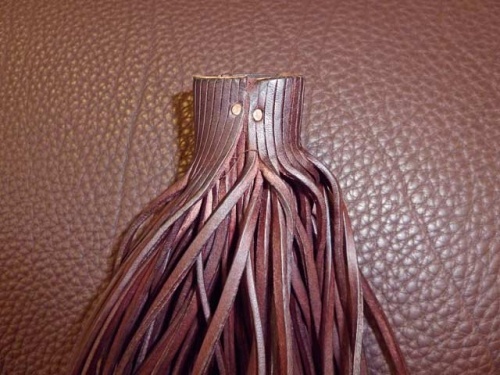 Due to its longevity, leather is also historically a popular material to produce strips and straps. Apart from the robustness, the low tendency to electrostatic charge is also of importance. 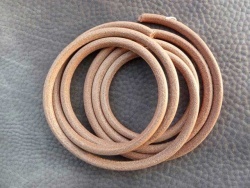 Round leather strips are used as driving belts. 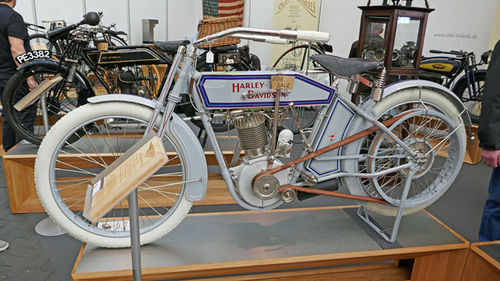 Leather drive belt of a Harley Davidson. 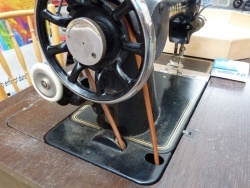 Leather strips and laces can be cut with a variety of methods. 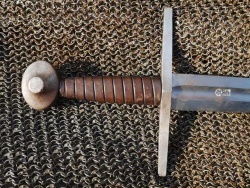 They are cut round and long using different techniques and tools. Round cut from the inside to the outside. Round cut from the outside to the inside.